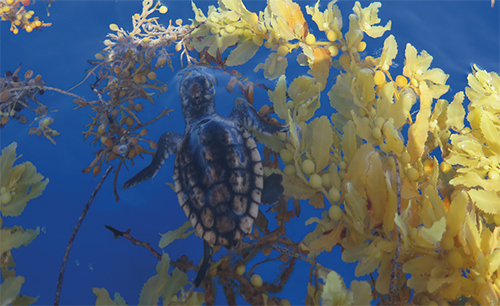 The National Save The Sea Turtle Foundation is pleased to partner with the Gumbo Limbo Nature Center of Boca Raton, Florida for the release of rescued sea turtle hatchlings. Each year, thousands of hatchlings require a little extra help as a result of both natural and anthropogenic causes. Once they’ve lost the instinct to swim offshore, its best for them to get a ‘free ride’ to floating mats of sargassum seaweed where they can find food and shelter. 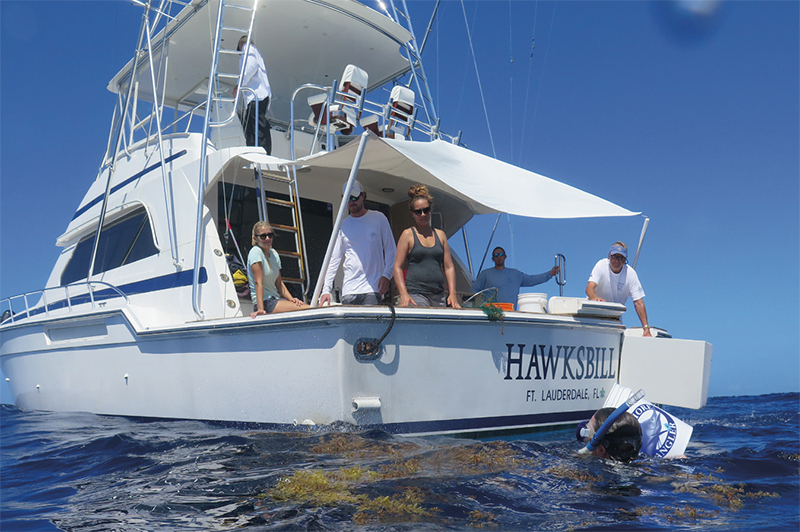 The Foundation’s Research Vessel Hawksbill serves the job perfectly for heading out to deep water in the Florida Keys. Sometimes, hatchlings lack normal pigmentation. The most common form of this condition is known as leucism, where the hatchlings appear nearly white, but still have dark eyes. 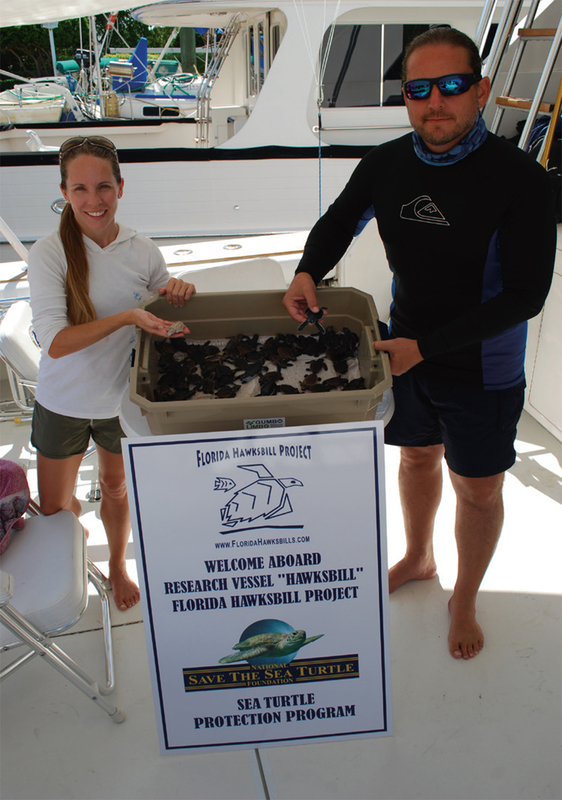 Ms. Cole Reintsma from the Gumbo Limbo Nature Center and Mr. Rick Newman aboard the RV Hawksbill with rescued hatchlings ready for release in offshore waters.